If you use Britain’s geography properly, you will get good bike racing and spectacular scenery. 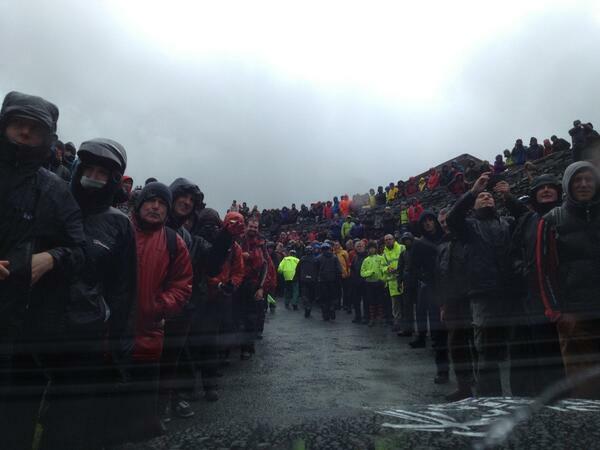 They really got it right with stage two of the Tour of Britain. Apart from the weather, it was the ideal advert for road cycling in this country. Cycling’s not about sprinting down the Mall. It’s about having the freedom to get away from places like that. It’s also about the challenge and Honister Pass certainly offers that. Bike racing fans know this and therefore turned out in huge numbers to watch the peloton zig-zag about on slopes which somehow carried a couple of inches of water despite the sharp incline. 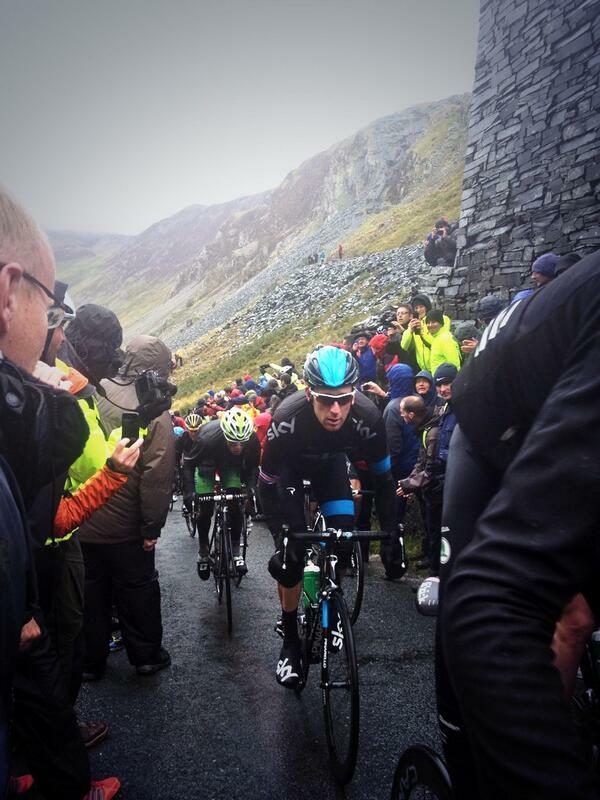 Here’s a nice photo of Wiggo on the climb. We Brits can get a bit self-effacing about our hills and mountains compared to those used in the Tour de France. I wonder whether it’s ignorance. The difficulty of a climb comes from both its length and its gradient but they often seem to be compared only on the basis of the former. We might not have 20km climbs, but then again France doesn’t have 25 per cent climbs, like Honister Pass. It was certainly tough enough that climbers could get away from the peloton if they chose to and you couldn’t find two riders with better climbing credentials than the winner of Liege-Bastogne-Liege and the King of the Mountains in the Tour de France. Dan Martin and Nairo Quintana thrust onwards and forced Team Sky into a wearying chase after the summit. Who knows what that increase in speed took out of the peloton and the Sky riders in particular, but the roads near the end of the stage were also well chosen and delivered an exciting finish. It wasn’t a summit, but it was decidedly uphill and the peloton fractured like an old cyclist’s brittle, non-load-bearing bones. The introduction to the British public of this year’s most successful cyclists continued with Milan-San Remo winner, Gerald Ciolek, taking a spanking win. Simon Yates, one of my riders to watch in this race, moved up to second overall after finishing fourth. Bradley Wiggins was 17 seconds down, as was Alex Dowsett. Dan Martin did slightly better, finishing 12 seconds down. It’ may be measured in kilometres, but it’s a 10-mile time trial. Both Bradley Wiggins and Alex Dowsett will be looking to steal enough of an advantage that they’ll be able to hold the overall lead right up until the end of the race. The route runs partly through Knowsley Safari Park, so watch that Siberian tiger and mind that mandrill. I thought Box Hill was the only point in the UK above sea level? I nearly mentioned that. It’s odd that the Olympic route should be reused again and again for all sorts of different events when it’s basically pretty rubbish. I guess it’s near a major population centre, but then again Honister was busy as hell and that’s nowhere near nowhere.